Londonderry is fortunate to have some great farm stands in town, but it’s also fun to shop at a farmer’s market. The Derry Farmer’s Market opens in July and runs through mid-October. It’s in downtown Derry at the Pocket Park on Broadway (between Martin Street and Manning Street) and is open on Wednesdays from 3 PM to 7 PM. 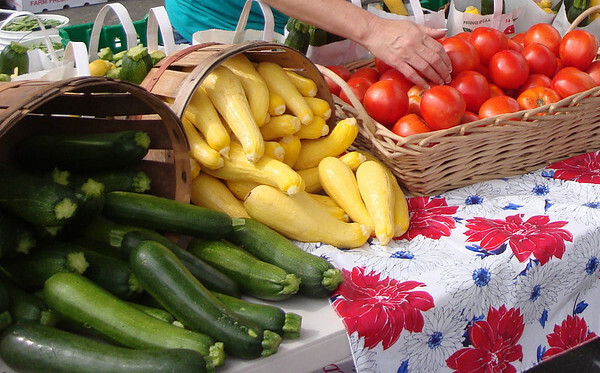 A farmer’s market provides a great opportunity to enjoy locally grown, baked, and prepared foods and handmade items. You’ll find items such as fruits, vegetables, herbs, spices, maple syrup, honey, flower, eggs, meats, soaps and skin products, and much more. The vendors list is growing and includes farms, bakers, and crafters. 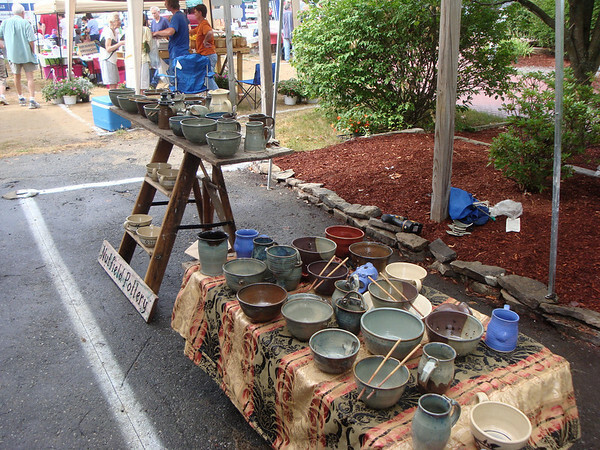 Some of the vendors at the market are J&F Farm, Field to Fork Farm, Oliver Merrill and Sons, Tuckaway Farm, Kittredge Farm, Wicked Good Soaps, Folsom Sugar House, Hippie Chick Herbal Remedies, Rockingham Acres, Wisteria Flowers, Nutfield Pottery, Jamie’s Sweet Temptations. This isn’t a complete list of vendors. Beverly Ferrante is the Market Manager and she continues to work to bring in new vendors. Vendors interested in participating in the Farmer’s Market can contact Beverly at 603-434-8974 or bevferrante(at)msn.com. If you go, wander through the market to see what is there before you decide what to buy. Talk to the vendors and get to know them. Take advantage of the opportunity to meet the vendors. They are people who are passionate about what they do and bring to the market. Pocket Park is located on Broadway Street in Derry. Browse this map.